Criterion i: The Summer Palace in Beijing is an outstanding expression of the creative art of Chinese landscape garden design, incorporating the works of humankind and nature in a harmonious whole. Criterion ii: The Summer Palace epitomizes the philosophy and practice of Chinese garden design, which played a key role in the development of this cultural form throughout the East. Criterion iii: The imperial Chinese garden, illustrated by the Summer Palace, is a potent symbol of one of the major world civilizations. The Summer Palace is approximately 20 km north west of Beijing and covers an area of around 3 km (290 hectares) and has over 3,000 individual buildings. 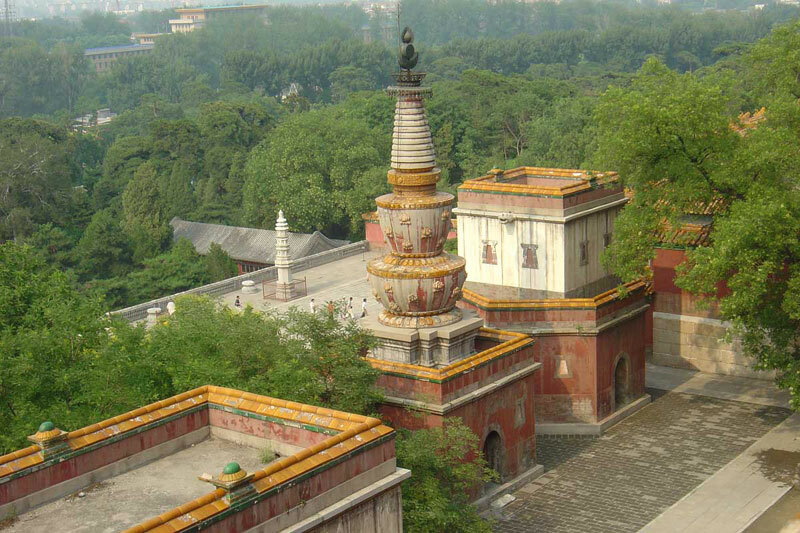 The main parts of the Summer Palace are “Longevity Hill”, “Kunming lake” and “The Long Corridor”. Longevity Hill has all the best buildings to look at. “The Cloud-Dispelling Hall”, “Temple of Buddhist Virtue” and the “Sea of Wisdom Temple” are all located here. And perhaps the biggest man made lake ive seen is â€œKunming Lakeâ€. Well it started as a natural lake around 3,500 years ago and takes up about ¾s of the total area. You can also take boat trips around the lake and if its cold enough you can go ice skating. Belive me its hard to imagein as when I was here it was 40 degrees! The last of the main attractions so to speak is the Long Corridor. It is about 250 m long and is parrallel to Kunning lake. This is also the longest path in the garden and has nearly 15000 Chinese paintings! Be careful when leaving the Summer Palace as there are TWO exits. Or two entrances depending on how you look at it 😉 The exits are the East Palace Gate and the North Palace Gate. I think most people seemed to enter from the East gate. Thanks for stopping by my site Alex, as it led me to here and I love your blog! You have AMAZING pictures! It looks like we’ve been travelling opposite sides of the globe. Yes, I would like to exchange links and I’ve already linked you on my site. I hope that’s okay. Off I go to check out some more of your site…. Nice pics. I guess China is a must see destination for the serious traveller.